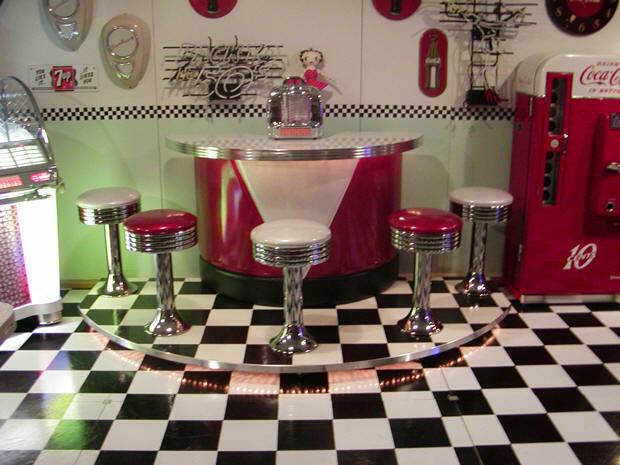 The Roberta’s Bar is unique due to its movable base. This makes it easy to move the bar closer to a wall when not in use. We also maximize the seating around the bar to seat 5 and 1 behind, serving fresh cocktails! This is the bar that started it all — the very first one — custom designed for a favorite customer. This custom bar has now become one of our most popular items. Thank you, Roberta! The family did not have much space in their game room…but still wanted a bar! We decided to put the bar on a movable base, and added 17 wheels. By so doing, the bar could be easily moved away from the wall when in use, and pushed back against the wall after the “party”. Needless to say, it worked out great! “Mood” lighting is installed under the bar top as well as the movable floor. We have built and shipped many “Roberta” bars all across the country.